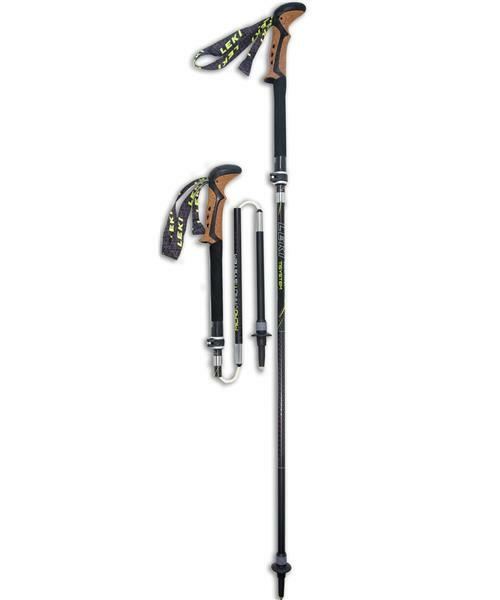 Leki's popular Micro folding pole construction with their best selling Cor-Tec grips, and now featuring our new Dynamic Suspension System as refined solution to reducing pole shock and vibration on the trail. And at a very attractive price point for this technology. The push-button release mechanism allows for quick, easy assembly and knock-down to just 15.5". The TÜV-certified Speed Lock 2 provides a 20cm adjustment range. With Aergon Cor-Tec grips and travel/stow bag.